Amy Gamby and Matt Smith, members of Shadow Hills Country Club, got married on July 9 in a ceremony filled with lights and love. Event though the weather forced them to move the reception inside, they still were able to have the look they had been planning. Congratulations Amy and Matt, we wish you and your family all the best! Melinda, the former Catering Sales Manager, and Travis, the Assistant Mechanic, got married at Shadow Hills on July 2 in a ceremony performed by the GM Dave Shelton. The theme was romantic garden wedding, a perfect fit for Shadow Hills. The ceremony featured a butterfly release and a unity cocktail with a toast by all the guests. Guests raved about the food and the mimosa bar was quite a hit. Shadow Hills was honored to be a finalist for Oregon Bride Magazine’s Best of 2016 for best Country Club/Golf Course Venue. We take great pride in everything we do, and it shows! It’s almost time for our annual fashion show. This event is so much fun and benefits a GREAT cause. Get your tickets now, last year was a sell out! Be sure to go to A Family For Every Child and learn about all the great things they do! One of our beautiful 2015 weddings is featured on Carats & Cake. Congrats Aly and Nick! Click here to see all the photos and a list of vendors. Alright brides, if you’re reading this right now then we would so appreciate it if you would take a few minutes to vote for us on Oregon Bride Magazines Best of 2016! The link is attached so VOTE HERE ! We have loved every minute of last year, so we know 2016 is going to be even better! Happy 2016 everybody! J|D Elegance, Soft Peaks Cakery, Sweet Pea Floral, Mikkala from Chikara, and It’s Your Day by Event Options all came together at Shadow Hills Event Center on a very wet and windy afternoon to create some holiday magic. Here are some sneak peeks at our beautiful winter wedding styled shoot. 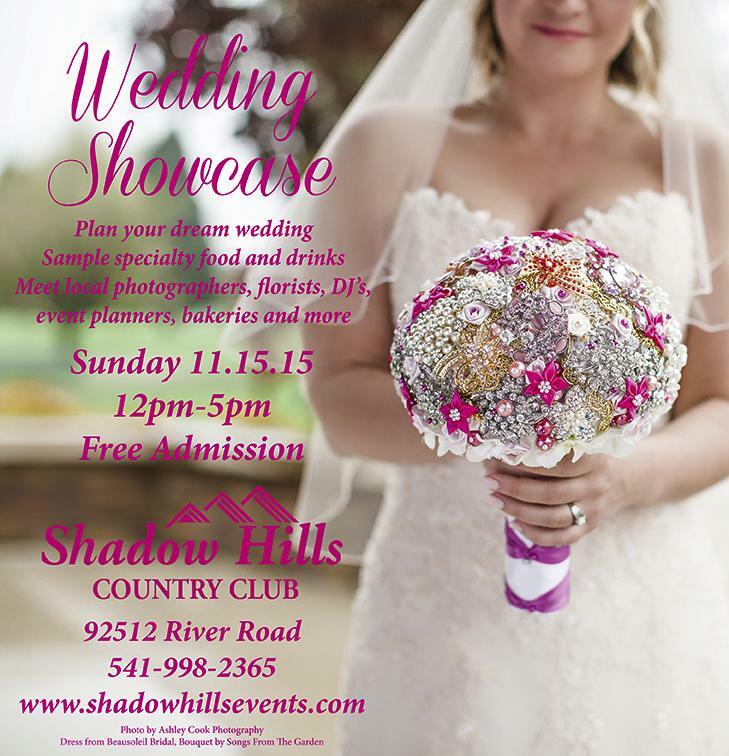 Shadow Hills is a beautiful venue year round and in any weather! Thank you to all the vendors and guests that made our Wedding Showcase such a success for everyone. More photos are on our gallery page!